a long time passed since my last post and even more things changed in my life. In the following we'll take a look at customer name ranges in SAP and how to use them to move things like malicious code out of the sight of security people and… well… auditors. Customer-created objects in SAP do not always start with Y* and Z*. Let's start with some obvious things: Workbench objects in SAP (custom reports, tables, transaction codes, function modules, and many more) may not be named arbitrarily. They are bound to name ranges, which SAP designated for customer developments. SAP Note 16466 - "Customer name range for SAP objects" gives a list of allowed name ranges per object type (yes: different types have different allowed name ranges). In this post, we'll focus on some of the types, which are interesting for an attacker and allow data manipulation or implementing backdoors, etc. : ABAP reports (obvious! ), tables (just because), and transaction codes (e.g. to bypass S_PROGRAM checks). "It is essential that you always adhere to the SAP naming conventions. Serious problems may otherwise result during the next upgrade (the upgrade overwrites customer objects)." We'll come back to that later. 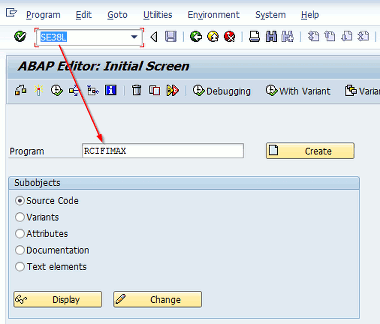 It's time to dive deeper: when you try to create - for example - a new report in the ABAP workbench, a function module is called in the background that checks the specified name for its compliance with the allowed name ranges. For objects in the partner and SAP-reserved name ranges, you need an object key to create them - we won't discuss them here. The actually allowed names can be found in the FM's source code (which is pasta long and has grown for many years). last line of this table. ZIS_FORM SAP-reserved These table names are SAP-reserved as per the exception table TDKZ. So we have a whopping 47 name ranges to choose from for our next malicious report! … and hardly any auditor will ever identify a program called MSTHRP9INT as a customer-developed one. To be even more sure, you could also fake the report's "creator" easily (more on this in my next post). First of all, I doubt it - but didn't check it myself. Since the FM TRINT_GET_NAMESPACE is used by every workbench-related functionality in the ABAP-stack, I would assume that all ABAP code, which is called during an update also uses the same logic. The command line tools (tp, R3trans …) are usually synced with their ABAP pendants, so they'll probably perform very similar checks as well. And secondly, it doesn't really matter. Most attackers would probably do, what they intended to do, once they have compromised an SAP system in such a way. There's no need to wait a long time and then come back… and persistence inside a victim's network can be achieved in more reliable ways and with less traces to cover. PS: Just to prevent confusion - this post is about "name ranges", not "namespaces" like /SNAKEOIL. the Security Audit Log [SAL] contains -obviously- information about important system events and should therefore better not get lost unintentionally! Let's see, how the Audit Log can be erased and what we can do to prevent this and maximize its protection. The Audit Log is stored in log-files that are located in the file system (see parameter DIR_AUDIT) and is either rotated daily or when the current file is full (see parameter rsau/max_diskspace/per_file). Access to these files is possible via kernel functionality (from within the SAP system) or on operating system level (e.g. via an external OS command). We’ll focus on access via the SAP application server and won’t take a deeper look at manipulations directly from OS level (i.e. from the command line). From inside the SAP system, three variants of deleting the SAL files exist. Below we'll check them and see, which measures exist to protect the logs. SM18 is the SAP standard way of removing old SAL files. The transaction is protected by an authorization check for S_ADMI_FCD with value AUDA (AUDit log Administration). The minimum age of files to be erased is 3 days − a nice feature, because an attacker cannot remove fresh logs and hide what he/she did moments ago. SM18 is not really problematic… S_ADMI_FCD with value AUDA is a critical authorization, which nobody should be assigned to on production. IF sy-subrc = 0. WRITE: 'successful'. REPORT. WRITE 'SM18 (C_REMOVE):'.DATA: errno TYPE rsautypes-errno , errmsg TYPE rsautypes-errmsg.CALL 'C_REMOVE' ID 'DIR' FIELD '/usr/sap/&lt;SID&gt;/DVEBMGS00/log' ID 'FILE' FIELD 'audit_20160425' ID 'GROUP' FIELD 'AUDIT' ID 'ERRNO' FIELD errno ID 'ERRMSG' FIELD errmsg.IF sy-subrc = 0. WRITE: 'successful'. ELSE. WRITE: 'failed;', errmsg. " caller not registered ENDIF. A more sophisticated way of getting rid of audit log files is to simply delete them via the DELETE DATASET statement from within an ABAP report. IF sy-subrc = 0. WRITE 'successful'. ELSE. WRITE 'failed / not found'. REPORT. 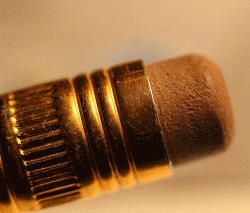 WRITE 'DELETE DATASET:'.TRY. DELETE DATASET '/usr/sap/&lt;SID&gt;/DVEBMGS00/log/audit_20160425'.IF sy-subrc = 0. WRITE 'successful'. ELSE. WRITE 'failed / not found'. ENDIF.CATCH cx_sy_file_authority. WRITE 'missing authorization'. ENDTRY. The kernel checks for S_DATASET authorizations each time a DELETE DATASET statement is executed (this cannot be prevented, since the check takes place in the kernel). The field ACTVT is checked for value 06 (delete) and the FILENAME field for the path of the file to be deleted. A check for authorization object S_PATH can be activated to implement an additional protection for file system accesses. It is then evaluated after a successful S_DATASET check. Alternatively, we can also prevent unauthorized log file deletion completely… even if a user has S_DATASET with all field values set to "*"! Afterwards, no user will be able to read or modify the SAL log files – disregarding their authorizations! Anyway, SM20 will continue to work, as the access takes place in the kernel. The third variant does not use the SAP kernel to delete the file, but rather an OS command (in the following example we’ll use the Unix/Linux rm command). The following report creates a new external command, executes it to delete the same audit log file as above and finally deletes the command. IF sy-subrc = 0. WRITE 'creation successful;'. IF sy-subrc = 0 AND exitcode = 0. WRITE 'execution successful;'. IF sy-subrc = 0 AND rc = 0. WRITE 'deletion successful.'. REPORT. 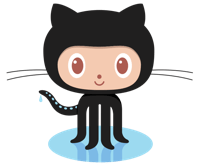 WRITE 'External command (SM69):'.DATA command TYPE sxpgcolist. command-NAME = 'Z_DEL_AUDITLOG'. command-opsystem = sy-opsys. command-opcommand = 'rm'. command-addpar = 'X'.CALL FUNCTION 'SXPG_COMMAND_INSERT' " --- Create command EXPORTING command = command EXCEPTIONS OTHERS = 1.IF sy-subrc = 0. WRITE 'creation successful;'. ELSE. WRITE 'creation failed.'. LEAVE PROGRAM. ENDIF.DATA exitcode TYPE extcmdexex-exitcode.CALL FUNCTION 'SXPG_COMMAND_EXECUTE' " --- Execute command EXPORTING commandname = command-NAME additional_parameters = '/usr/sap/&lt;SID&gt;/DVEBMGS00/log/audit_20160425' IMPORTING exitcode = exitcode EXCEPTIONS OTHERS = 1.IF sy-subrc = 0 AND exitcode = 0. WRITE 'execution successful;'. ELSE. WRITE 'execution failed;'. ENDIF.DATA: BEGIN OF command_del. INCLUDE STRUCTURE sxpgcostab. DATA: sapcommand TYPE sxpgcolist-sapcommand , TYPE(8) TYPE c , END OF command_del , rc TYPE i.command_del-NAME = command-NAME. command_del-opsystem = command-opsystem.PERFORM command_delete(saplsxpt) " --- Delete command USING SPACE CHANGING command_del rc.IF sy-subrc = 0 AND rc = 0. WRITE 'deletion successful.'. ELSE. WRITE 'deletion failed.'. ENDIF. Of course, you could also create, execute and delete the command via transaction SM69. The above method works fine, if you have S_RZL_ADM (ACTVT = 01) for the creation of the command and S_LOG_COM authorizations for execution. Unfortunately, the SPTH-protection from variant 2 does not work here. If table logging is enabled (profile parameter rec/client), changes are recorded in table DBTABLOG and can be evaluated via transaction SCU3 (for table SXPGCOSTAB). All three variants can be protected quite well via authorizations, so log deletion can be prevented by strictly controlling these authorizations. Anyway high-privileged users – e.g. emergency users – still have access, so I suggest also implementing the SPTH-protection described in variant 2. 💡 It provides a good additional line of defense around the log files. Apart from the "access"-perspective, organizational measures should be implemented to make sure that malicious code - like to one above is - checked (and rejected) before a transport to production takes place! Currently a lack of time prevents me from finishing a post, which is in the pipeline for weeks now. Nevertheless I'd like to point out a behavior of Security Policies, which might lead to an unexpected situation, if you're not aware of it (fortunately you will be). Let us assume that you have hardened your system and set the password-related profile parameters login/min_password_lowercase = 1 and login/min_password_uppercase = 1. This forces users to include at least one lower- and one uppercase character in new passwords. The kernel default for both parameters is 0. Additionally you set the parameter login/min_password_lng = 10 to enforce a minimum password length of 10 characters. Unfortunately, there is an RFC user on your system, which must – for whatever technical reason – not have a password longer than 8 characters. As you don't want to lower the system setting, you choose to create a new SECPOL with just the attribute MIN_PASSWORD_LENGTH = 8 and leave the profile parameter as it is (= 10). The desired result is obviously to override the minimum password length with a lower value for just the one RFC user and stay with the more secure value for all other users. … you create security policies with attributes, for which you explicitly do not want to use the default value. So my initial expectation was, that a SECPOL attribute overrides the corresponding profile parameter (in our example MIN_PASSWORD_LENGTH overrides login/min_password_lng)… and all other profile parameters, for which SECPOL attributes exist, stay as they are set in the profile. So login/min_password_lowercase could potentially be overridden by MIN_PASSWORD_LOWERCASE – but since we did not add it to our SECPOL, one could assume that the profile value stays intact. Security Policies do not override profile parameters - rather they replace them! All of them. All profile parameters, for which a SECPOL attribute exists, are replaced – so if an attribute is not explicitly set in a SECPOL, the kernel default value is used! Not the profile parameter value. If you've set any of the profile parameter values, which can be influenced by a Security Policy, you have to make sure that all those profile parameters are explicitly set again in all of your SECPOLs! So once you choose to make use of SECPOLs, you have to maintain all values at least twice: in RZ10 and in your Security Policy/ies… otherwise you end up using default values by mistake. It contains the history of my ancient CVS repository (converted thanks to this great how-to). So… if you find any bugs or want to help improve it — please go there and either create an issue or simply fork it and unleash the developer in you). In this article, we'll take a look at a potential weakness that is often considered minor and thus underrated – but might still be used to lever out important security measures: parameter transactions. They basically execute another tcode… along with pre-defined screen input – the "parameters". When you call it, SM30 is executed and table PRGN_CUST is opened in maintenance mode. Since the option "Skip initial screen" is enabled, it jumps directly into the table maintenance view itself – if it was disabled, one would be able to override the given screen options in the SM30 dynpro… including the table name! That's the point where the weakness starts. Now let's select some more parameter transactions from table TSTCP. They start with either "/*" or "/N" — the first one skips the called tcode's initial screen, the latter one doesn't. The first one – SE38L – is unsafe, because the "/N" indicates that the SE38 selection screen is just filled out – but the report name can be overridden easily. 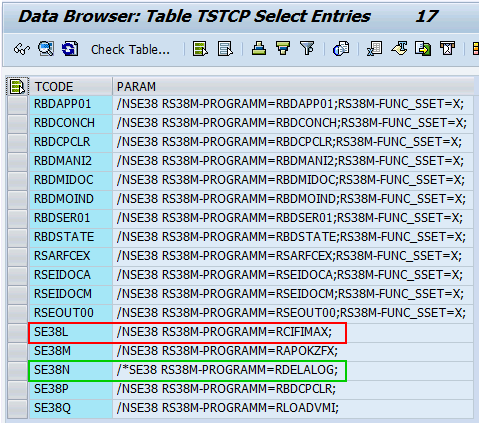 Well… for SE38L, -M, -N this might not be a big surprise, but what about RBDCPCLR? … I never would have guessed! The second sample – SE38N – calls SE38 and executes report RDELALOG immediately: nothing to see here, move along. When you limit access to a transaction, always keep in mind that insecure parameter transactions might represent a backdoor. Customer parameter transactions should always use the "Skip initial screen" option.